Raw fruits and vegetables cleanse. Cut out all meat, fish and dairy products. If desired, you can also cut out tofu and other meat alternatives, as well as beans. Don't eat any processed foods or simple carbohydrates. 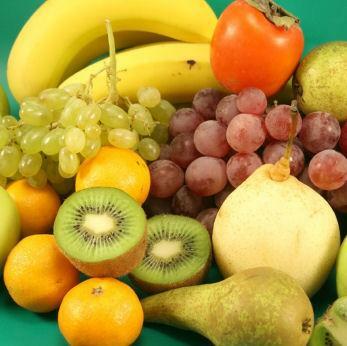 Stick as much as possible to raw, organic fruits and vegetables as the main part of your food. If you want juice, make sure it is freshly squeezed and not from a bottle. If you feel like you have to eat something cooked, try brown rice. This is a healthy, fiber-filled food that will help you feel fuller. Organic varieties are available. The point of a cleansing diet isn't starvation. Go ahead and eat when you are hungry, again sticking to raw, unprocessed foods as much as you can. When you come out of the diet, don't go back immediately to eating as you used to. Start by gradually adding in more cooked foods. After a week or so of transitioning back to a more regular diet, you should be able to start eating more meat and processed foods again. However, maybe you'll find you don't have the taste for them anymore after your week of healthy eating!